Jason Cooper, president, Arch-Con Construction. Houston’s real estate market has seen better times but Houston-based Arch-Con Construction is not feeling the effects since they have diversified across product types and into other metropolitan areas. Headed by CEO Michael Scheurich, Arch-Con has nearly 4 million-square-feet of commercial projects currently under construction with a projected revenue of $300 million for 2017, a 33 percent increase over last year. In Houston alone, the company currently has 25 projects under construction including Valley Ranch Town Center, a major retail development in the northeast corridor of Houston and St. Angela Merici Catholic Church, a 1,000-seat ground-up sanctuary in Sienna Plantation. Arch-Con launched a Dallas office in March of 2016 and has completed 624,000-square-feet of industrial space there with more than 2 million square-feet currently under construction. Jason M. Cooper was recently named president of Arch-Con and is responsible for day-to-day management decisions including operations and risk management. Cooper is a graduate of Texas A&M, has over 20 years of experience in the commercial construction industry and has been with Arch-Con for more than six years. 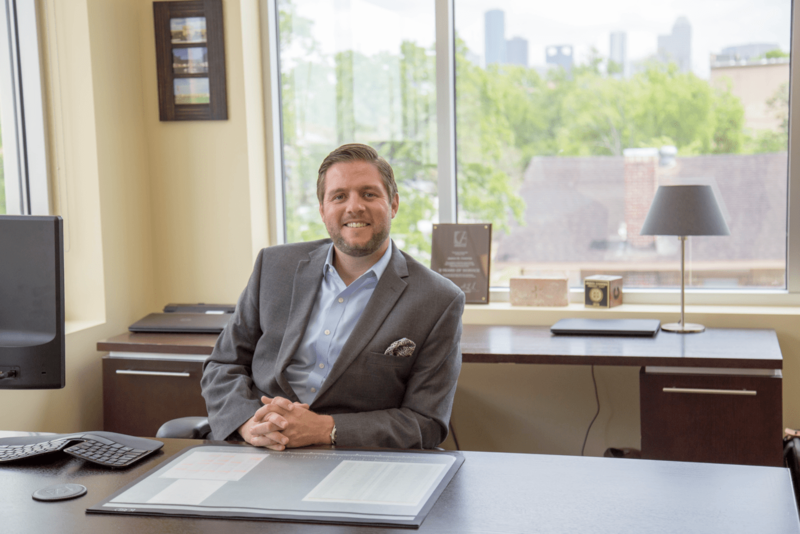 Cooper was also instrumental in Arch-Con’s expansion efforts into the Dallas market and works closely with Scheurich on a daily basis to implement the CEO’s vision for growth and expansion into new markets. Realty News Report: Your recent appointment as president of Arch-Con Corporation indicates that your firm is growing and evolving. Tell us a bit about Arch-Con today. Jason M. Cooper: For several years, Arch-Con has seen steady and substantial growth. In 2016, we opened a Dallas office, which is now led by Dallas native Robert Martin. We also beefed up our healthcare division in Houston, which is led by Evan Alford who has spent much of his construction career in the heart of the Texas Medical Center. The company is not only enjoying the increased size, scope and complexity of our projects but we are enjoying the growth of our employee base, both numerically and developmentally. Our employees, from project accountants to senior vice presidents, make Arch-Con great and working with them on a daily basis is the most rewarding part for me in becoming president. Realty News Report: How closely will you work with Mr. Scheurich, who has been president of Arch Con for a number of years? What will your relationship be like? Jason M. Cooper: Over the last six years, Michael and I have worked closely together. Michael had been president and CEO of the company since he founded Arch-Con in 2000. I joined in 2011 to lead Arch-Con’s Office and Industrial Divisions. Our relationship will now be symbiotic; Michael will continue to create the vision for the company as CEO and I will work on executing that vision. Realty News Report: Your firm has operated mostly in Texas, but is expanding into other states. Which markets seem more attractive for construction in the next few years? Jason M. Cooper: There are several markets we are looking to expand and several factors that go into that decision. Our customer base tends to pull us in different areas and we look very carefully at the economic drivers of those new markets. We strongly believe in diversification and strive to diversify geographically by moving into markets that have different economic drivers. For instance, Houston, although diverse, is driven largely by oil and gas and Dallas is driven more by the financial markets and product distribution. Realty News Report: What’s your take on Houston? We know Houston is overbuilt with office space. But what about the other property types? Jason M. Cooper: The office market is hurting right now and the sublease space adds to Houston’s troubles. The office market is in its second year of this challenge and we could experience another 2-3 years to work through the current inventory. That being said, the retail market is still humming in Houston; large grocers are slowing new development but junior-anchored retail centers are holding on. Industrial is still looking positive with larger projects on the horizon. In the past, a 250,000-square-foot industrial building was considered large in Houston. We are now seeing new industrial buildings planned that are 350,000 to 500,000 square feet and larger. Although the corporate interiors market has slowed, it is starting to make a come back. The non-profit sector is a very strong market for us and hospitality is still strong. The outlook for healthcare remains strong in light of the restructuring efforts within some of the large systems. Realty News Report: In terms of Houston construction, are you seeing the number of inquiries moderating or declining? Jason M. Cooper: For Arch-Con, our inquiries are roughly about the same amount as last year, so our deal flow is still strong. The opportunities are just different. We are seeing a lot of repeat clients continuing to want to work with us, which we love. Realty News Report: What about the rest of Texas? Dallas/Fort Worth? Austin? Even San Antonio is starting its first downtown office tower in 30 years? Jason M. Cooper: The markets for the rest of Texas are very strong. DFW is going into its fifth year of growth with all signs of this growth extending for a couple of more years. With corporate relocations to Texas, population growth will drive construction for some time, especially hospitality and retail chasing the rooftops. San Antonio is a strong market as well although it is a smaller market compared to Austin and, of course, Houston and DFW. Their growth was tempered by the loss of jobs in the Eagle Ford Shale but they are coming back. Austin is doing great. The cool factor in Austin is enticing working millennials and it is growing in all facets of its economy. Realty News Report: The New York Times recently reported that hotel construction is going to be exceptionally strong in Texas the next few years, with Dallas, Austin and Houston right behind New York and Los Angeles as the top five markets. What are your thoughts on this? Jason M. Cooper: I agree. With population growth in these three markets, construction will follow the new rooftops not to mention construction to build those new rooftops. Even Houston had positive population growth. It is not near what it had been during good oil times but it is still growth. The only issue that may pull down the construction numbers is a lot of heavy industrial in the chemical plants that will be coming to an end and might have a negative impact on the overall numbers. Realty News Report: Over the long-term, what does the future look like for Arch-Con? Will it be a national construction firm? Jason M. Cooper: The future looks bright at Arch-Con. We believe in both personal and professional growth for each employee as well as for the company. We also believe if you’re not growing, you’re dying. We will continue to grow our footprint in Houston and DFW as well as other markets around the nation. With our team, the ceiling is unlimited. I am very excited about what is ahead for Arch-Con and I feel very lucky to help guide the plane. Realty News Report: Any other comments? Jason M. Cooper: I’m happy to note that we have already found a great leader to assume my former role as senior vice president of our Office and Industrial Divisions in Houston. Chris Heath has assumed that role and has more than a decade of experience in the industry with an expertise in tilt-wall construction. He is a great addition to our leadership team.